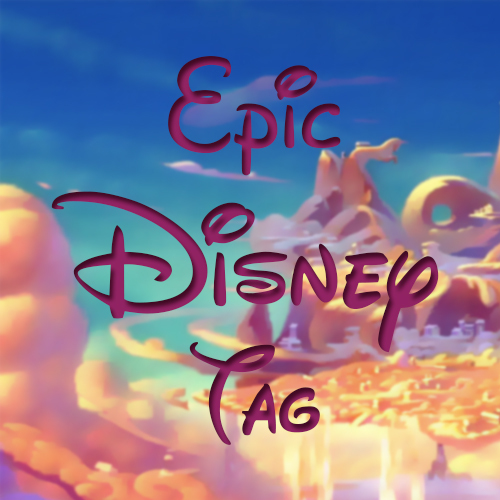 Tags – From the end of bag. I watched a video by Amanda Carter, a booktuber I’ve recently subscribed to, called “25 Bookish Facts About Me”, pretty self-explanatory. Here’s the original video. I wasn’t tagged BUT I’m gonna do it anyway. 1. I don’t mind movie/television book covers. I don’t care which edition someone buys because inside the story is still the same, so if you want a particular edition with a movie photo, you do you. 2. I’m the kind of reader who bends the spine or dog ears pages. I’m sorry!! You can unclutch your pearls now. In my defense, I only do it to the books I own and never ones I borrow. Even I know that’s a big no-no! (I know that’s still unheard of for a lot of people.) Even if I happen to not bend the spine, the book I’m reading ends up looking distressed by the time I’m done with it. I sound like such a violent reader, oh god. I’ve been wanting to do this tag since I saw it on Maria’s blog last year! I definitely judge books by their covers. 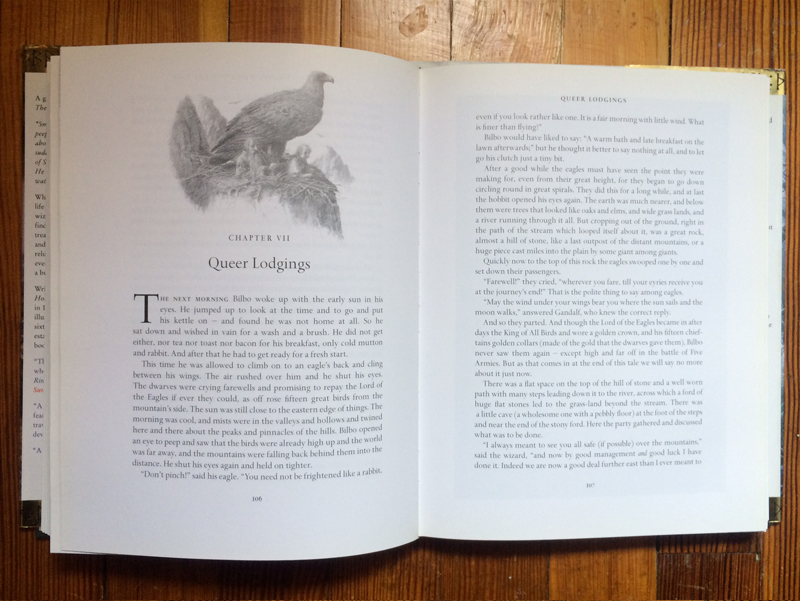 A good design is very important, if I don’t like the way a book looks, I won’t be drawn to it. I’m a designer, so book design is something I’m very interested, but I don’t think I have the talent to make a career of it (YET!!). You can find the original tag video here — it’s in German, so thank you, Maria for the translations!. Do you understand HOW difficult this was?? 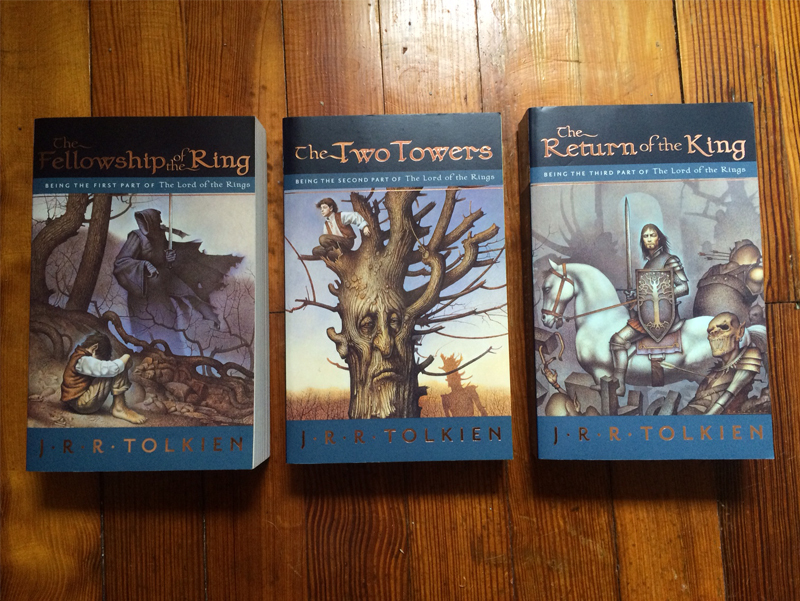 I ended up choosing this set of Lord of the Rings with cover art by John Jude Palencar. This is one of my favorite copies of LOTR. 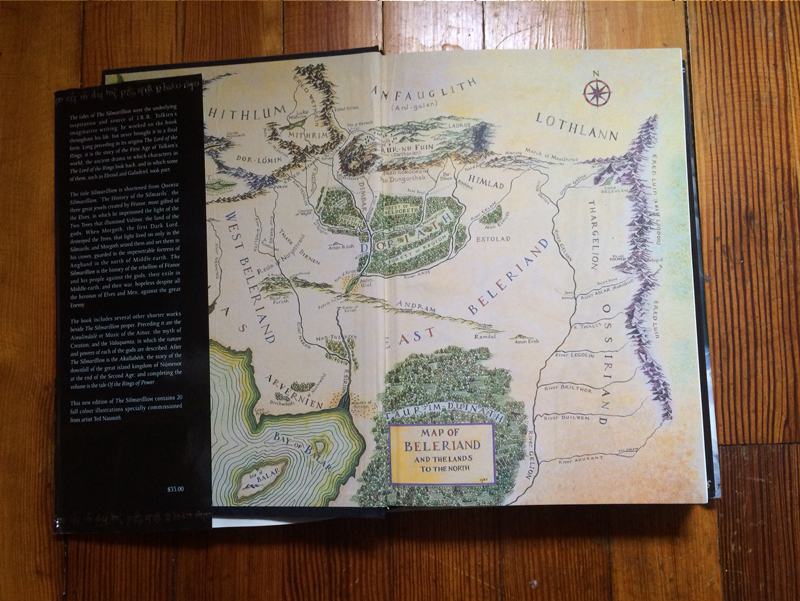 I chose this edition of The Silmarillion illustrated by Ted Nasmith. I love all the different colors in the map. 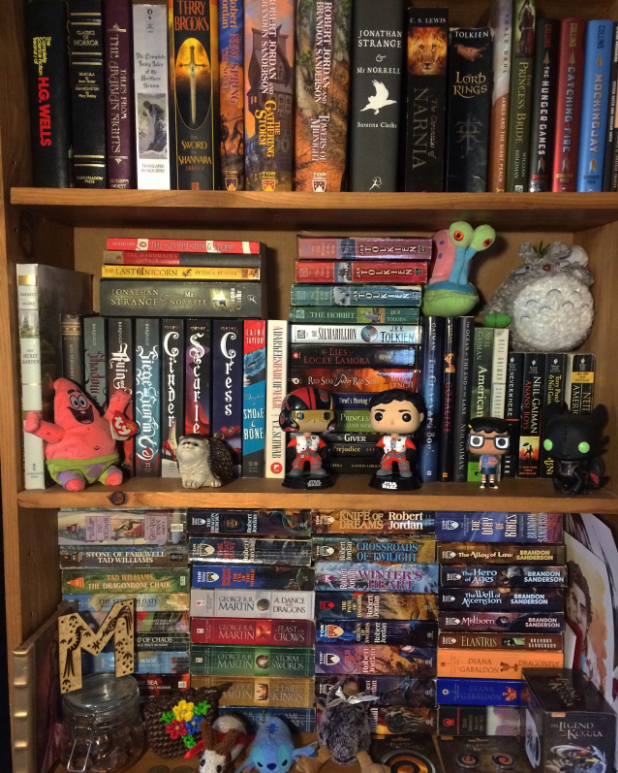 I tried not to include so many Tolkien books but here we are. 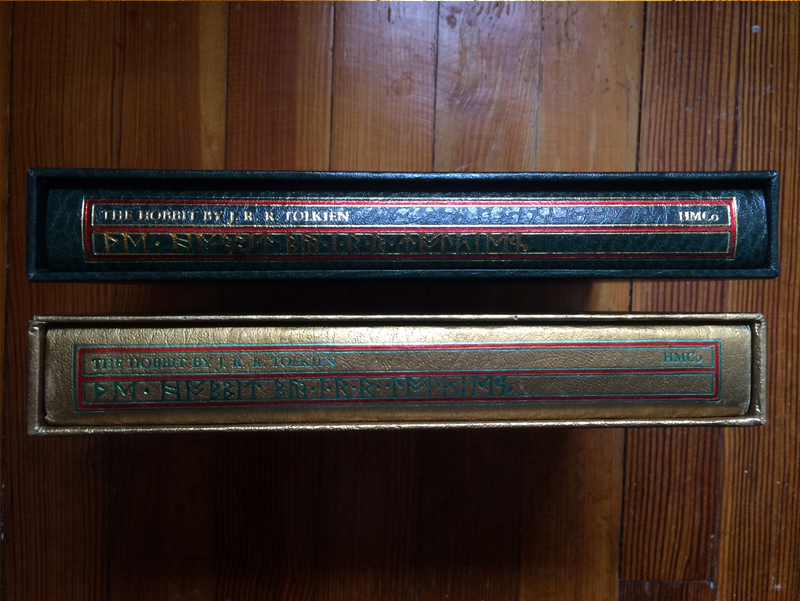 I picked two editions of The Hobbit for this one: the 50th anniversary and a collector’s edition (not sure if that’s the official title). Ever since I saw this book a while back, I knew I wanted to buy it and read it (haven’t yet though). 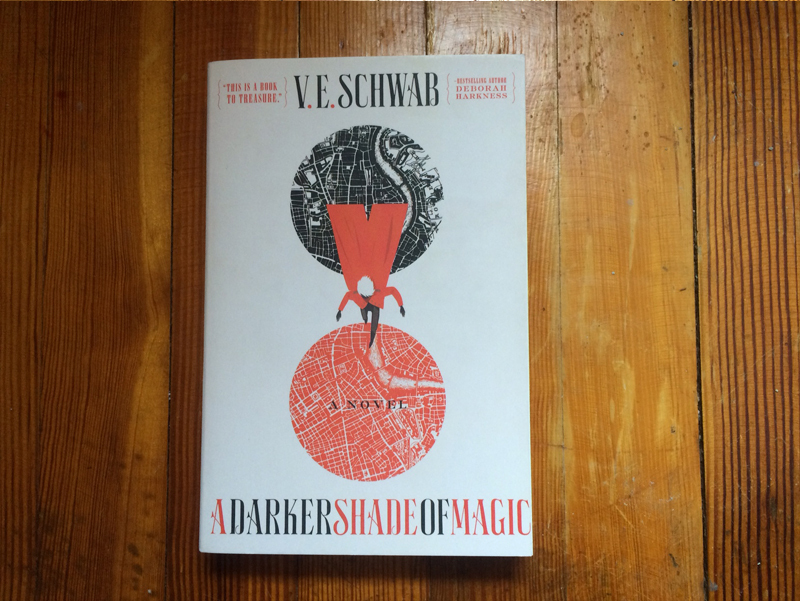 Red, white and black is a classic color scheme and it really works with the cover. I love the way the title is treated, using two colors to separate the words, the clean illustration, ahh I just really like it. The edition of The Hobbit illustrated by Alan Lee is beautiful! Anything Alan Lee does is superb, let’s be real. This is another book I haven’t read yet, but after seeing the cover I had to buy it. 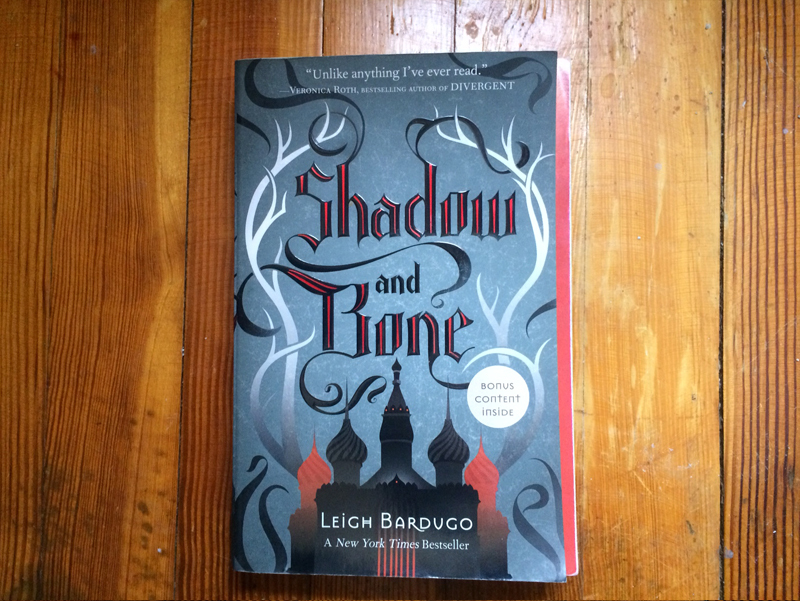 Shadow and Bone is part of the Grisha Trilogy and the other two books are equally well-designed. 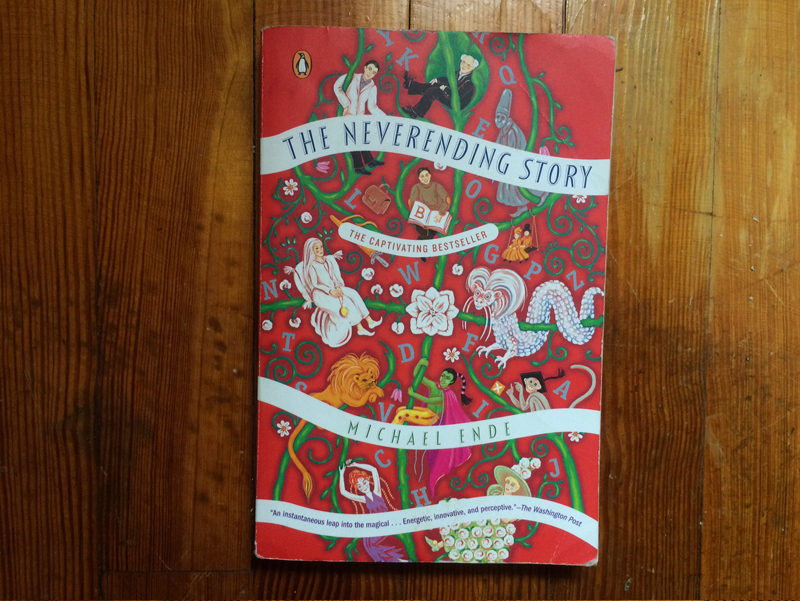 I am only halfway done with The Neverending Story, I stopped reading it last August…I got a little bored with it. I’ll finish it eventually. All that aside, I love this cover! There’s a lot going on but it flows nicely in my opinion. 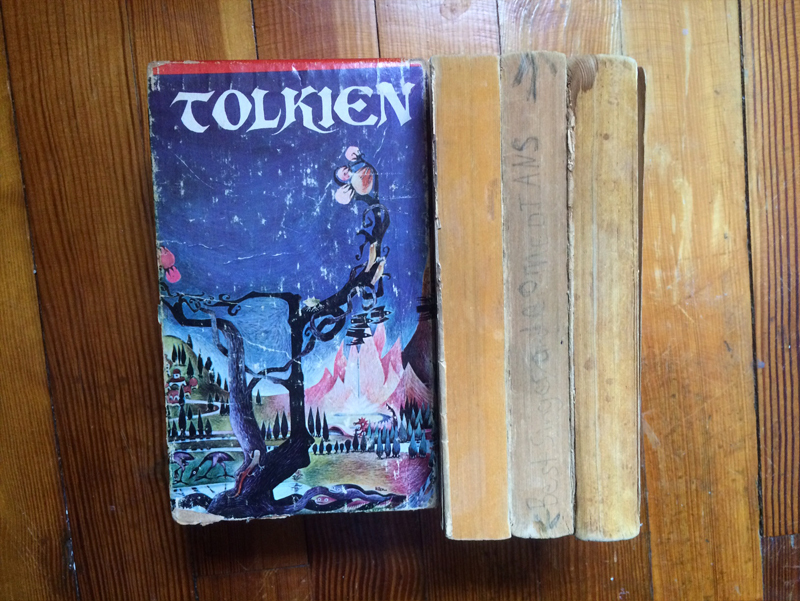 This was my dad’s set of LOTR, as you can see it looks pretty old. The pages are all yellowed, there are little tears and rips on the covers but that’s what I love about it. I’m the type of person who has a habit of bending spines and being kinda aggressive with books so I like seeing worn books. When I go to bookstores, I always take hardcover books out and take off their dust jackets because I want to see what the actual book looks like. 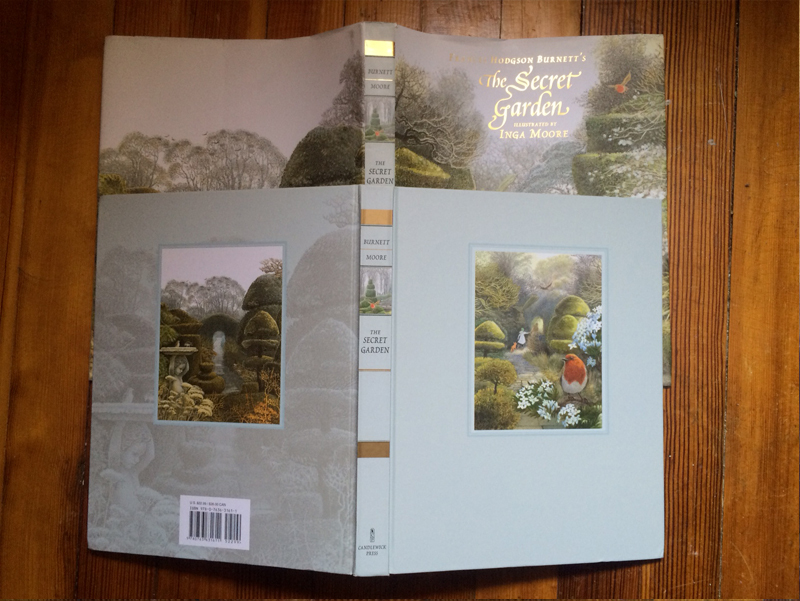 For this, I ended up choosing The Secret Garden illustrated by Inga Moore. I bought this from a Goodwill for $2, and it’s sooo nice! Ahh, this question. It’s always been near impossible for me to answer because both are very important to me. Movies were my introduction to Middle-earth but the book is the real deal, you know? It’s the basis for epic fantasy, it’s the original material of my all-time favorite story. I mean, if I haaaaaaad to choose one over the other I would choose…the book. I want to say Bilbo though I don’t feel worthy enough, haha. I love him lots. Like Bilbo, I like to spend a lot of time at home doing quiet things like reading or eating (yeah) but it wouldn’t satisfy me completely. I’d still like to go out and go on my own adventures to see the world. Okay, *cracks knuckles* I can do this. The Shire, The Breaking of the Fellowship, The Lighting of the Beacons, The Battle of the Pelennor Fields, and The Mouth of Sauron. Oh god I didn’t even include any from TTT. This is too difficult!! Oh nO I didn’t include The Last March of the Ents. Can that be my honorable mention? Which scene DOESN’T make me cry?? I’ll try to give my top five scenes because I could go on forever and no one wants that: Boromir’s death, Sam carrying Frodo up Mount Doom, the scene with Frodo and Sam after the Ring is destroyed, Aragorn’s coronation, and the Grey Havens. During the last half of ROTK I’m a teary snot-filled mess. Orcs because the Uruk-hai are bigger and can go in the sunlight. I might have a better chance of surviving an encounter with an orc. Lol, no I wouldn’t, they’d kill me. But if we’re deciding based on a coolness factor, the Uruk-hai. BILBO. Mainly old Bilbo, though young Bilbo is cool too. There aren’t really any Asian-looking characters in the films…but I’m chubby and short so I’d probably fit in well with the hobbits. Granted, they’re like two feet shorter than me but I’d make it work. I love all of the canon pairings so I’ll have to go with a non-canon one, Gandalf and anyone. I have seen things I wish I’d never seen. I don’t know how popular or unpopular this is, but I’m so happy there was no Tom Bombadil. Sorry to all of the hey dol merry dol fans. He just always rubbed me the wrong way and he also creeps me out for reasons I cannot explain. More of Tolkien’s poems! Also I would have liked to see the scouring of the Shire, though I understand why it wasn’t included. I would have also liked a more diverse cast. *crossing my fingers for a cool LOTR TV show in the future. No idea. I like to think that he would appreciate them but really, who knows? It’s a tie between Frodo and Eowyn. I love Frodo’s outfits, especially the one we first see him in, you know, that blue shirt? Love. And Eowyn, oh man, her dresses are spectacular. Especially that green one! Both are breathtaking locations, but if I had to choose one to live in I’d choose Rivendell. I don’t know how well I’d deal with the heights in Lothlorien, I’d be that idiot who falls off the stairs while trying to climb up somewhere. But overall I just like Rivendell more. I like the open vibe and the autumn-like colors. I may be thinking of LOTRO now. 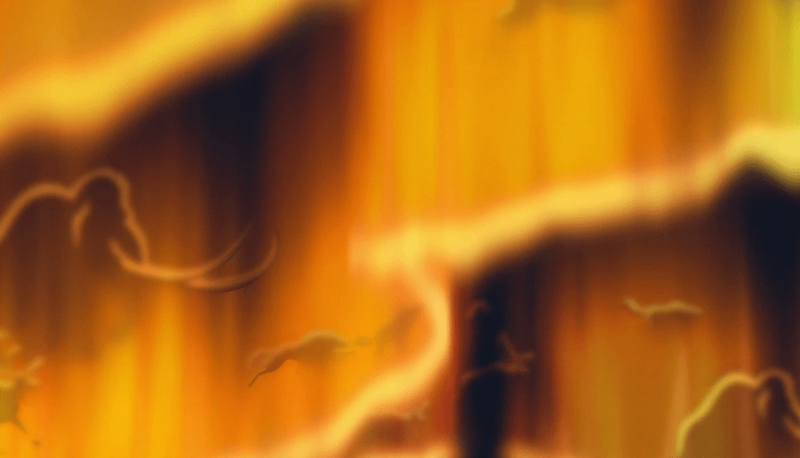 Maybe Gothmog. But he’s like that character I love to hate. When he’s dragging himself with one arm to try and kill Eowyn I always have to resist the urge to yell “OH MY GOD JUST DIE ALREADY, NO ONE LIKES YOU!” Oh and there’s always Shelob. I cannot deal with her. I wish! Also this may sound weird, I’ve had friends (lovingly) make fun of me about this, but I want to be old Bilbo. I’m talking old Bilbo in Rivendell with that pretty light blue shawl draped over his shoulders. I think I mostly just want to have my own replica of the Red Book. I laugh the most at the dumb stuff like Gimli blowing the ghost hand away or stepping on the bones. I laugh every time, and most of the time I’m close to tears. *sobs* I want to meet all of the actors, I love the cast so much. (I’ve technically met Ian McKellen so I won’t include him.) Ian Holm, Christopher Lee and Andy Serkis. “I know. It’s all wrong. By rights we shouldn’t even be here. But we are. It’s like in the great stories, Mr. Frodo. The ones that really mattered. Full of darkness and danger, they were. And sometimes you didn’t want to know the end. Because how could the end be happy? How could the world go back to the way it was when so much bad had happened? But in the end, it’s only a passing thing, this shadow. Even darkness must pass. A new day will come. And when the sun shines it will shine out the clearer. Those were the stories that stayed with you. That meant something, even if you were too small to understand why. But I think, Mr. Frodo, I do understand. I know now. Folk in those stories had lots of chances of turning back, only they didn’t. They kept going. Because they were holding on to something. This is even more difficult. Ohoho, yes I have. The one for The Hobbit terrified me when I was younger because of Gollum. Even to this day I can’t read his parts in the book without feeling creeped out, it’s those glowing eyes and feet slapping on the water. 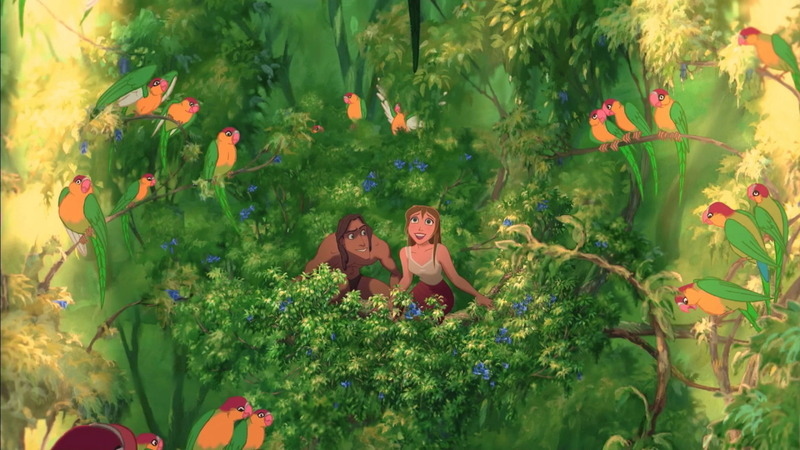 I’ve also seen the other films and to be honest they are just…beautiful. Remember Treebeard? Of course you do. It has become such a huge part of my life, because of LOTR I’ve met some super awesome people, made some of the greatest friends of my life and my life is definitely better because of it. It’s helped me through the years and I have no idea if I would have been able to push through it without this story. Bilbo, obviously, Frodo, Aragorn, Gandalf, Sam, Gimli…everyone. HERUGRIM! That’s my favorite sword from the films. I think I’d also like to wield Sting. I would say Anduril but that sword is almost as tall as I am, I’d never be able to fight with it, haha. Nope. I am not as strong as Frodo. Yes and my collection has taken over my room but it’s okay. My favorite item, hmmm, I have many favorites. Probably my One Ring replica or the first set of LOTR I read from. I have and I just want to say that it is OKAY if you haven’t read it for whatever reason. At age 9 or 10 I read the book but only a little bit up to the beginning of ROTK and I understood nothing, I was young (though there are people who were able to read and understand at a young age). I struggled with LOTR for years and only managed to actually do a full read-through when I was 18. It’s okay if you haven’t read it whether it’s because you find that it’s too hard, you aren’t able to get a copy of the book, you don’t have the time or you simply just don’t want to. It’s okay. I mean, I would of course recommend that you read it because it’s AMAZING, but you do you. I have multiple times and it is exhausting. Not only is it tiring because it lasts for over 12 hours but it’s also because it’s emotionally draining. By the end of it I’m left there an empty shell of a person. My perfect marathon would include lots of friends, pillows everywhere and comfort food. So much comfort food. I watched FOTR when it came out in theaters and read the book…well I just talked about that for question 31. Possibly one of the most difficult questions because I love them all so much! FOTR makes my heart happy juuuuuust a little more because it has the most of the Shire. I’d totally get drunk with Gimli, we’d have a good time. I’d marry Aragorn because I mean, duh. I’d probably die fighting Gothmog. Goddamn Gothmog. As a kid the part that probably scared me the most was in the beginning of TTT when Gollum was scaling down the wall to get to Frodo and Sam. Out of everything that was the worst and I have no idea why. But now it’s Shelob’s scenes, all of her scenes. A giant spider? Nope nope nope nope. Love you, Gondor, but I’m going with Rohan. If I didn’t live in the Shire, I would see myself as a citizen of Rohan. Rosie and Sam! Or Faramir and Eowyn. But seriously, Rosie and Sam! Imagine how fun it would be to grow up in the Shire, all of those fields to run in, the food you’d eat…I’m feeling nostalgic for a place I didn’t even grow up in. (All of them to be honest.) Merry and Pippin because they’d be a lot of fun. I watched the films last month at the concerts in NYC and I haven’t read the book in a while. I read snippets from time to time but I haven’t actually done a full read in a few years. Bill counts, right? I’m going with Bill. I’d spend it in the Shire in Bag End with Bilbo. I would love nothing more than to relax with the windows open and have Bilbo tell me stories as we drink tea. My heart hurts a little now. Not really. Well…yes. More women! That even the smallest person can change the course of the future. It would be in the Shire, no one is surprised, and I’d like it to be in Hobbiton. My home would have a red door and a huge cherry blossom tree in the front. I would want a room dedicated for maps and books and a big living room full of comfortable couches, chairs, and pillows. My bedroom would have a window on the ceiling so I could star gaze at night. I want this to be a reality. Probably Boromir. No matter how many times I watch that scene, it’s like watching for the first time. I still ache at those words: my brother, my captain, my king. I have SO MANY! I love the bit about Dom’s splinter. I mostly love the way Billy says “splinter”. The Red Book of Westmarch. Full on with writing inside. I’d probably just burst into tears and try to hug him. Don’t think he’d appreciate that. It’s Madeline, pronounced with a “lynn” not “line”. What was favorite subject at school? Art! I also liked math. I was good at math.